The two falls have a combined drop of 260 feet. 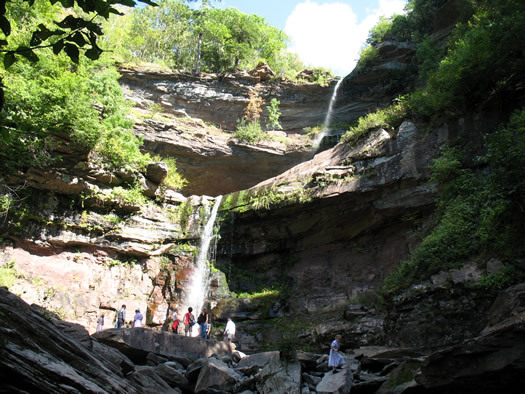 Access to the falls will only be allowed from the Kaaterskill Falls trailhead located on NY Route 23A. DEC will prohibit public access past the wooden fences at the base of the falls. The Laurel House Road parking area near the top of the falls will be closed and visitors will not have access to Kaaterskill Falls from the parking area for the remainder of the hiking season. Individuals found trespassing in construction areas will be ticketed by law enforcement personnel. DEC staff and contractors will construct a new foot trail from the end of the marked Kaaterskill Falls trail at the base of the falls to the Escarpment trail at the top of the falls. This 0.2-mile trail will include construction of a new, approximately 260-foot stone staircase, with 200 stone steps. In addition, an approximately 300-foot spur trail will lead from the staircase to a point above the middle pool of the falls. At the end of this trail, DEC and its contractors will install another shorter set of stone stairs to provide access to the middle pool area. The stone staircase will be designed to blend in with the natural stone of the area at a location that will limit its visibility from below. DEC will also build a fully accessible trail that leads to an accessible viewing area and overlook platform at the top of the falls. The new trails and stone staircase will accommodate the public's desire for access to a better view of Kaaterskill Falls and the middle pool area, while also protecting public safety. In recent years, DEC has taken additional steps to prevent people from continuing past the end of the marked Kaaterskill Falls trail, including an increased number of signs warning of potential risks, but some people ignored the warnings and put themselves in danger by continuing past the fence at the end of the trail. The falls are an impressive, beautiful site, and they're a popular hiking spot, just about an hour south of Albany. (It's one of those not-a-lot-of-effort/big-payoff hikes.) They've also been the scene of multiple deaths -- Watershed Post fills in some of the context. Farther field: This house in Roxbury -- in the northern Catskills -- caught our eye over at Upstater. It's basically a giant shell with windows on one side -- along with three bedrooms, and 2.5 baths. It's currently listed for sale at $349,000. 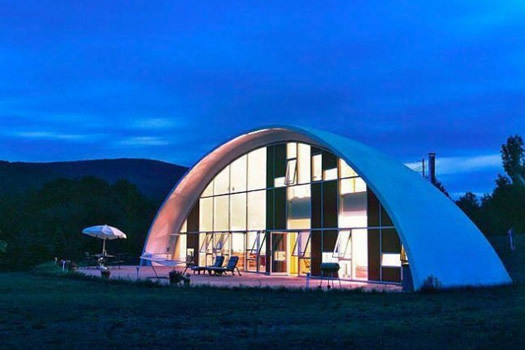 Since the creation of a shell shaped house is not the customary brick-and-mortar type construction found normally in the Catskills, Rutkin found it difficult to obtain a general contractor comfortable taking on the job. So, he took it upon himself. Working closely with manufacturers from the Monolithic Dome Institute, Rutkin was able to design an air-form shell to his exact specifications. The shape of the house is formed within Rutkin's reusable air shell. The form was sprayed on the interior with foam insulation. Next, steel reinforcements were attached to the interior side of the insulation and sprayed with concrete. Once the air form is removed the exterior of the concrete shell is sprayed with what Rutkin refers to as its "protective skin." The home has been available for weekend rentals in the past. In other news: The Monolithic Dome Institute sounds like something from Lost. The annual Mountain Jam music festival at Hunter Mountain announced the lineup the 2015 festival today. 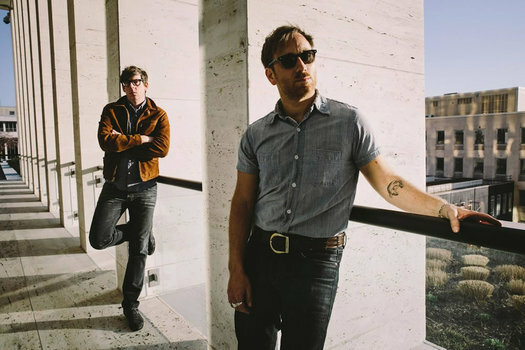 Headliners include: The Black Keys, Gov't Mule, moe (all three already announced), Robert Plant, Alabama Shakes, Grace Potter and the Nocturnals, and Michael Franti and Spearhead. The full lineup (announced so far) is post jump. Mountain Jam is June 4-7 this year. Early bird tickets are currently on sale: a 3-day pass (without camping) is $185 / a 4-day pass is $205. As you know, Hunter Mountain is in Hunter, New York, in the northern Catskills. 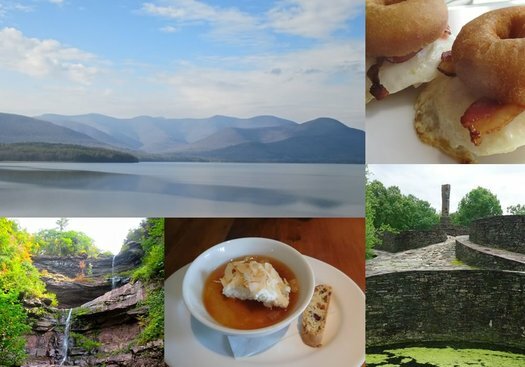 It's a little more than an hour drive from Albany. The annual TAP NY craft beer festival will be back at Hunter Mountain April 26 and 27. Tickets are on sale now -- they're $73.44 for that Saturday / $60.48 for Sunday / $21.60 for designated drivers. The festival is also a competition for beer brewers in the state. We get the impression the Saturday session of the festival often sells out, so if you're interested in going, it's probably a good idea to get tickets sooner rather than later. Hunter Mountain is in the northern Catskills, a little over an hour's drive from Albany. New breweries: Over at In The Name of Beer, Greg Back has been profiling the breweries that are new to the festival this year. Earlier on AOA: Trying the "best craft beer in New York State"
The annual Mountain Jam music festival at Hunter Mountain announced its "intial" lineup today for the 2014 festival. Headliners include: Bob Weir & Ratdog, Gov't Mule, Pretty Lights, The Avett Brothers, Tedeschi Trucks Band, Damian Marley, and Jeff Tweedy. Another headliner it still TBA. 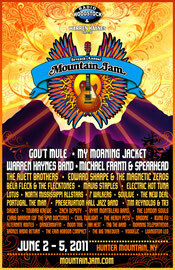 Mountain Jam is June 5-8 this year. Tickets on sale this Thursday (January 16). The early bird price for a three-day (non-camping) pass is currently $179. Hunter Mountain is in Hunter, New York, in the northern Catskills. 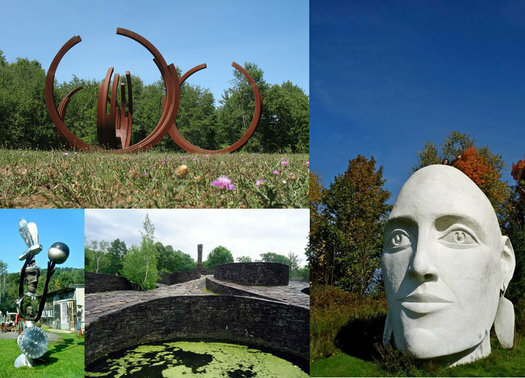 It's a little more than an hour drive from Albany. 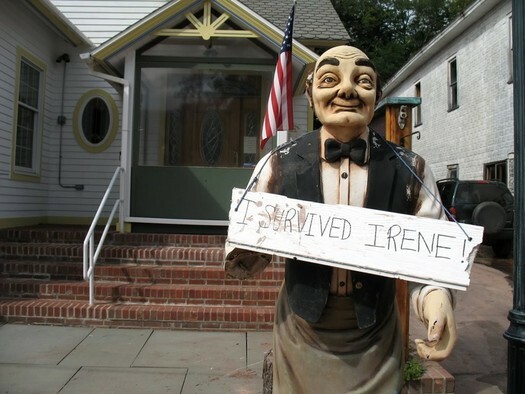 The Watershed Post has produced a package of stories about last year's Irene flooding called "Faces of the Flood." It's a collaboration between WP, photographer Christopher Auger-DomÃ­nguez, and staff and students from SUNY New Paltz's journalism program. I think people are frightened. I think people are angry. And I know people are frustrated. And I think the whole thing is communication. There appears to be a huge disconnect between the people who have been affected by this and the people who have some authority to fix it. Like when the Department of Environmental Conservation says: "Our policy is to let the stream find its natural course," and then it ignores you when you ask, "What about my house?" At the very least, the guy could have said something. I got nothing from the guy. He turned around as if I had insulted his entire family. There are 12 profiles -- all interesting in some way. 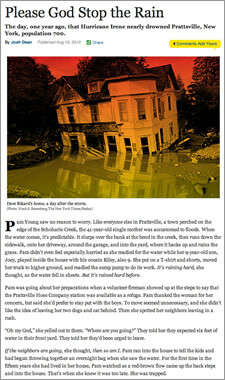 The current issue of New York Magazine includes an article by Josh Dean about the Irene flooding in Prattsville a year ago. It's a series of scenes from the day the water rose higher than anyone living had ever witnessed before -- and the stories are harrowing. When the boys began to scream awful things like "I don't want to die!," Pam tried to distract them with song ("Rain, rain, go away") and then prayer ("Please, God, stop the rain"). Even the dogs were quivering, and they stuck close to the boys when Pam went back inside the house to call her daughter's boyfriend and--because she refused to break down in front of the children--to cry. It had been a terrible year already. She had been diagnosed with breast cancer and had only recently finished her final chemotherapy treatment. She was weak, physically and emotionally. When it dawned on her that she had some Valium in her purse, she took one. Pam called 911 to ask when a boat was coming and was told that the first one had been dispatched. It never arrived. She later learned it had capsized, tossing its rescuers overboard. When she called back, she asked what she should use as a flotation device if she had to do the unthinkable and jump into the raging waters. The man replied that he would have someone call her back with an answer. No one ever did. Before her phone finally died, well into the afternoon, Pam Young posted a message on Facebook: "Somebody please save us." 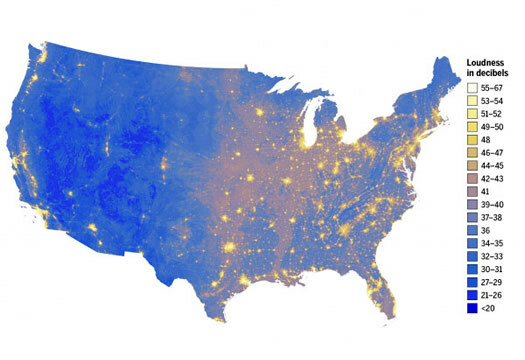 Prattsville was probably the hardest hit place in the entire state. But, amazingly, no one died. So come get dirty or stay clean, but come to celebrate the strength and adversity after a year of recovery and rebuilding in Prattsville!! Buildings wrecked. Sense of humor intact. As bad as the Irene flooding was in parts of the immediate Capital Region, it was even worse in sections of Schoharie and Greene counties. You might have read some of the reports -- almost a foot of rain, entire villages devastated. It's another thing to see it up close. Here's a snapshot of one place -- Windham, in Greene County -- after Irene. The lineup for the annual Mountain Jam Music Festival at Hunter Mountain in the Catskills is out. Among the lineup highlights: My Morning Jacket, The Avett Brothers, Edward Sharpe and the Magnetic Zeroes, Bela Fleck, Mavis Staples, Tim Reynolds, and The New Deal. The festival is June 2-5. Early bird tickets are on sale now -- they're $142.50. Next week: Ticket info and more details for the second Solid Sound Festival at MASS MoCA, June 24-26.